If you are visiting Toronto for any length of time, cash car rental Toronto gta is, without a doubt, the most cost-effective way to get from A to B in the city, without having to rely on unfamiliar public transport networks. Contrary to popular belief, however, cheap car rental in Toronto isn’t just about catering for the needs of out of town city tourists and business visitors. Do you live in the Greater Toronto Area and do you currently use public transport to get to and from work and all your personal appointments? Our used car rental company here to help! Recently had your regular vehicle have to go in for repair work? Just arrived in Canada and not yet had the opportunity to purchase your own vehicle? Decided to visit Toronto and incorporate a self-drive holiday into your Ontario sightseeing itinerary? Car Rental Toronto 4U has been providing cheap car rental in Toronto since 2012. Moreover, during this time, we are proud to have become widely regarded as one of the best car rental companies in not just Toronto, but Ontario overall. Unlike bigger car rental brands, we never advertise low car rental rates and then attempt to add on extra charges at our pick up and drop off points. At the same time, we are constantly working to understand the unique transport and used rental car requirements of each of our clients. We know for instance, that whether you are planning a Toronto vacation or simply need to hire a car ready for your next home move, you need to be able to rely on a top-quality vehicle which is perfectly suited to your individual (and family) transport requirements. If you have hired a car previously, you will already know how frustrating it can be to arrange simple things like adding an additional driver to your car rental agreement. This is why at Car Rental 4U, we make arranging payment and adding extra drivers as easy as possible. This way, you can be on your way to wherever you need to get to in Toronto to asap. Do you need a small but reliable rental car which can still get you and your family or coworkers from A to B as hassle freely as possible? 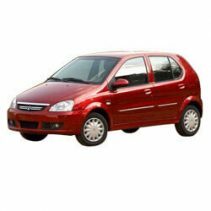 If so, we offer smaller Ford Fiesta, Ford Focus, and other economy class vehicles which are perfect for short holidays and last minute business trips. If you need as much leg room and speed as possible, our full-size class vehicles will be ideal for meeting your upcoming car rental requirements. usually measuring 4700mm, we provide Ford Taurus and Chevrolet Impala (or similar) vehicles perfect for more lengthy trips and business visits to Toronto. 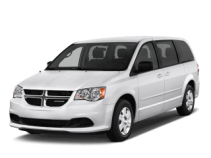 Longer sightseeing excursions and large family visits to Toronto will always be best catered for by a larger rental vehicle which can transport you and your entourage from A-B as comfortably as possible. This is why provide Chevy Uplander (and similar) vehicles which are perfect for a wide variety of Toronto travel purposes where extra space and occupancy is a top priority. Do you need maximum storage space but in vehicle seating for only up to 5 people at a time? 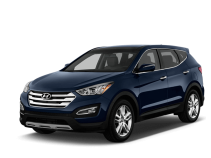 If so, our Chevrolet Equinox (or similar) vehicles might be just what you are looking for. This is because our SUV’s are ideal for hauling particularly bulky items and can even be used off-road. In fact, this in itself makes SUV’s one of the most popular rental vehicle classes in our Toronto fleet for family holidays and sightseeing. 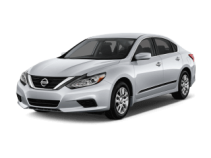 Are you looking for cheap car rental in Toronto but also need a vehicle which is ideally suited to help you with your next home move or large item transport requirements? If so, we can help. This is because our rental fleet includes a range of Chevrolet Colorado GMC Canyon (and similar) vehicles which are built for heavy goods transport and performance, regardless of the local terrain they are put to use in.